When Queen Victoria died in 1901, she had ruled for nearly sixty-four years. She was a mother of nine and grandmother of forty-two and the matriarch of royal Europe through her children's marriages. To many, Queen Victoria is a ruler shrouded in myth and mystique, an aging, stiff widow paraded as the figurehead to an all-male imperial enterprise. But in truth, Britain's longest-reigning monarch was one of the most passionate, expressive, humorous and unconventional women who ever lived, and the story of her life continues to fascinate. 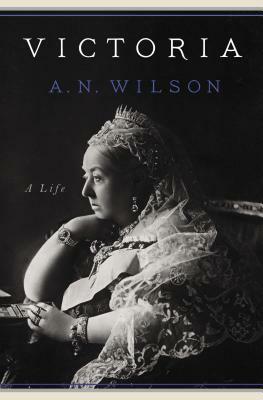 A. N. Wilson's exhaustively researched and definitive biography includes a wealth of new material from previously unseen sources to show us Queen Victoria as she's never been seen before. Wilson explores the curious set of circumstances that led to Victoria's coronation, her strange and isolated childhood, her passionate marriage to Prince Albert and his pivotal influence even after death and her widowhood and subsequent intimate friendship with her Highland servant John Brown, all set against the backdrop of this momentous epoch in Britain's history--and the world's. Born at the very moment of the expansion of British political and commercial power across the globe, Victoria went on to chart a unique course for her country even as she became the matriarch of nearly every great dynasty of Europe. Her destiny was thus interwoven with those of millions of people--not just in Europe but in the ever-expanding empire that Britain was becoming throughout the nineteenth century. The famed queen had a face that adorned postage stamps, banners, statues and busts all over the known world. Wilson's Victoria is a towering achievement, a masterpiece of biography by a writer at the height of his powers. A. N. WILSON is the author of biographies on Jesus, Milton, Tolstoy, C. S. Lewis and Dante. His acclaimed histories, The Victorians and God's Funeral, have made him an authority on Victorian-era Great Britain. A former columnist for the London Evening Standard, he now contributes to the Times Literary Supplement, New Statesman, the Spectator, the Observer and the Daily Mail.